Ontario Environment Industry Association - Break the Ice on the Ice: The Sequel! Break the Ice on the Ice: The Sequel! Just when you thought it was safe to go back to the office, ONEIA is pleased to offer Break the Ice on the Ice: The Sequel! On March 24, the Guelph Curling Club will play host to companies from Guelph, Kitchener-Waterloo, Cambridge, London (and of course, Mississauga and Toronto). 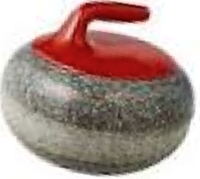 Curlers of all abilities (and no ability) are welcome, as we offer a “curling basics” clinic to start the afternoon. Sponsor Break the Ice on the Ice: The Sequel! There are a variety of sponsorship options available to corporate sponsors and we are pleased to promote your involvement through our pre-event announcements that will reach more than 3,000 individual e-mail addresses. Please CLICK HERE to view the different opportunities.